From San lucar de Barrameda, at the mouth of the Guadalquivir River, and following 260 kms of Costa, you will find the finest and golden sand beaches of the Peninsula.This route is full of scenic surprises that combine land, sea and old fortresses, and even remains of ancient civilizations, such as ruinas de Baelo Claudia, near Tarifa, at Punta de Europa where the two Atlantic seas meet and Mediterráneo. From there, without losing sight of the sea, continue to the end of the route at the mouth of the Guadiaro river. The sea and the land combine with the virgin nature in many of its stretches, with live dunes that penetrate between pine forests, cliffs and protected spaces of must visit. The coast also offers a wide infrastructure for water sports, highlighting Tarifa internationally, as the center of windsurfing, surfing and kite surfing. Due to the richness of its seabed, fishing and scuba diving are two activities in which enjoyment and adventure are guaranteed throughout the Cadiz coast. Between these two extremes we pass through Chipiona, Rota, El Puerto de Santa María, San Fernando, Cádiz, Chiclana, Conil, Vejer de la Frontera, Zahara de los Atunes, populations of peculiar marine environment, Tarfia, Algeciras, La Linea, until you reach San Roque, where the Sotogrande tourist complex is located. This route combines with its typical and artistic monumentality of true value, the singularity that along its route you can contemplate the different breeding of bulls that graze in their fields, constituting the brave bull, in its natural environment, a picture of unusual beauty. When in the 18th century the spectacle of bullfighting began to turn from a chivalrous distraction into a professional activity, brave cattle ranching had to undergo a parallel evolution. Cádiz, as in the referred bullfighting and cante, was an indisputable pioneer, and at the beginning of the 18th century don José Gijón had achieved a cattle ranch whose specimens stood out for its elevation, greed and lightness. Departing from Jerez de la Frontera, it includes the cities and towns of San José del Valle, Paterna de Rivera, Medina Sidonia, Alcalá de los Gazules, Benalup, Los Barrios, Castellar de la Frontera, Jimena de la Frontera, San Roque, Algeciras y Tarifa. Tour of the cities in which a wine of universal fame is produced and which includes a set of unique tourist attractions, among which stand out its extensive vineyards, visits to the centuries-old wineries and a series of monuments of maximum historical and artistic interest. You can start at Chiclana de la Frontera, from there head to El Puerto de Santa María following Rota, Chipiona, San Lucar de Barrameda y Trebujena, to finish at Jerez de la Frontera, where you can also visit the Royal Andalusian School of Art Encuestre. 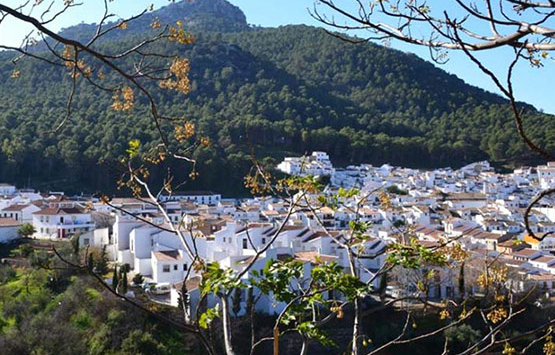 As part of the provinces of Cádiz and Málaga, we find a group of towns that seem to climb between the mountains like clusters of White Houses that offer us an original and picturesque vision of this area known as Pueblos Blancos. Its name comes from the ancient custom of the inhabitants of whitewashing the facades of their houses, adorning them with flower pots of bright colors, creating a spectacle of color for the sight, to which the golden of the sun, the brown of the mountain joins , the green of the mountains and the blue of the sky. 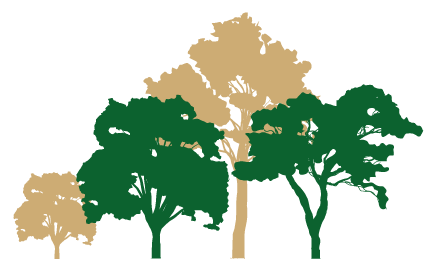 Inside we find Parque Natural Sierra de Grazalema, with a very varied flora and fauna, being the rainiest area in all of Spain, and El Parque Natural de Los Alcornocales, the most important cork oak forest in the Iberian Peninsula. Visiting the white villages will not leave you indifferent, at each step you can discover something new, with spectacular landscapes and colorful corners, unique patios with typical Andalusian ornaments where the colors reign.